Dress has lowered neckline, back zipper closing, full gathered skirt and self fabric or purchased belt. 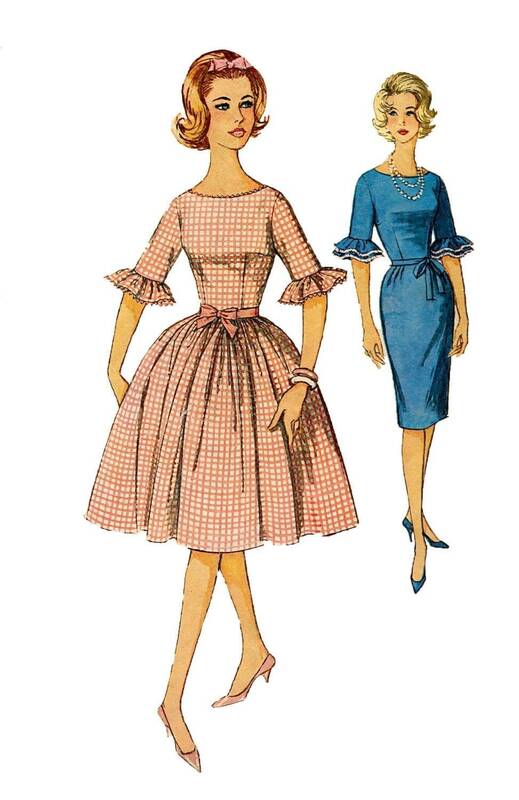 V. 1 and 2 are collarless and have above-elbow-length set-in sleeves with a self fabric ruffle at lower edge. V. 1 has self fabric trim. V. 2 sleeves have heavy lace trim. V. 3 is sleeveless and has a large two-piece contrasting collar and ribbon bow.